DuChateau® Floors are antique reproduction hard-wax oil floors developed in Holland that are designed to reflect the styles found in Europe from centuries ago. 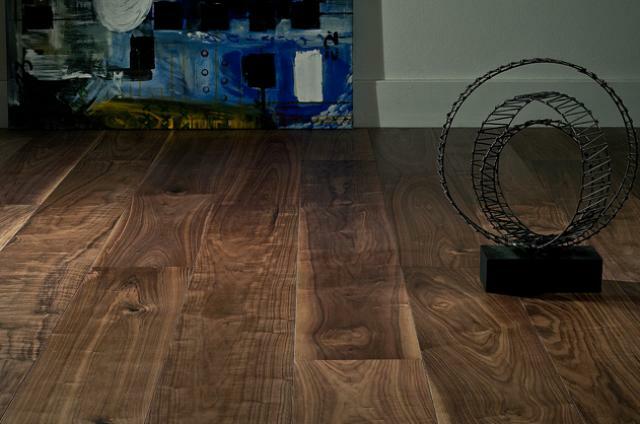 At DuChateau® Floors, we create the same time-worn look that showcases the character and longevity of a true vintage hardwood floor, and our hardwood floor production philosophy is to create textured hardwood floors with changing grain patterns of the natural wood characterizing true artistic design. 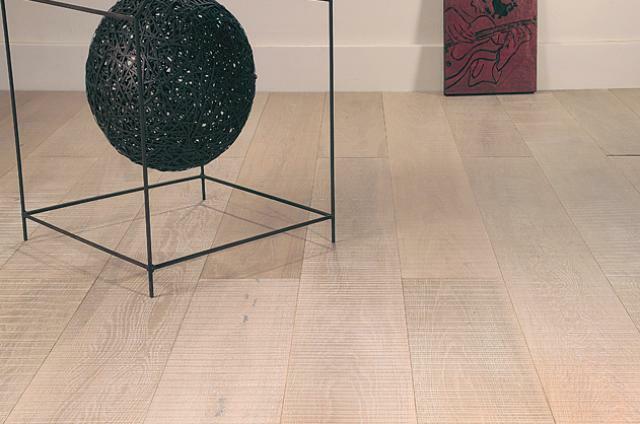 Core values at DuChateau® Floors are to make use of environmentally friendly methods and renewable forest resources, to offer products that are consistently of the highest quality and to ensure excellence in customer care. 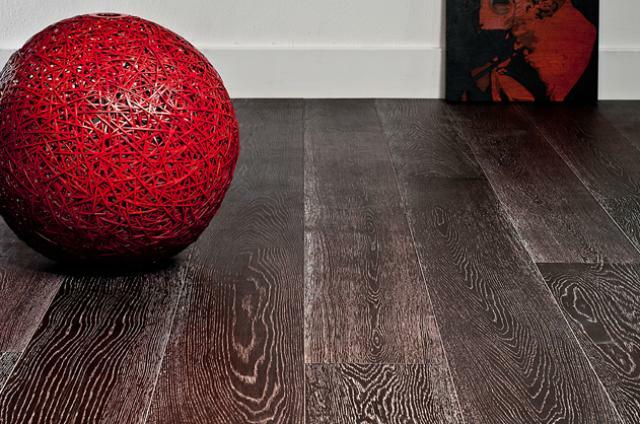 We offer our clients great and assured opportunities for growth as we are committed to developing hard-wax oiled hardwood flooring products benefiting from the latest advances in styling, technology and innovation – all of which keep us firmly at the forefront of the design industry. Distressing a new floor means that the floor maintains its perfect fit, but takes on the look and character of a vintage floor. 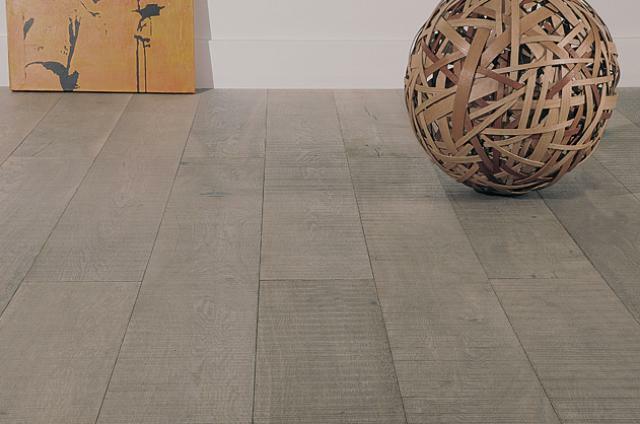 There are several methods for distressing floors, the most commonly used and most accepted is hand-scraping. Hand-scraping hardwood flooring if done by an artisan craftsman as it was done in Europe centuries ago will improve the look and feel of the floor as well as adding much desired character. 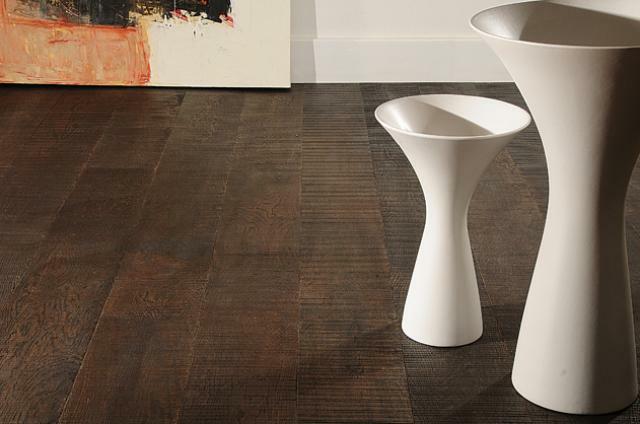 All DuChateau flooring is hand-scraped by master craftsmen. 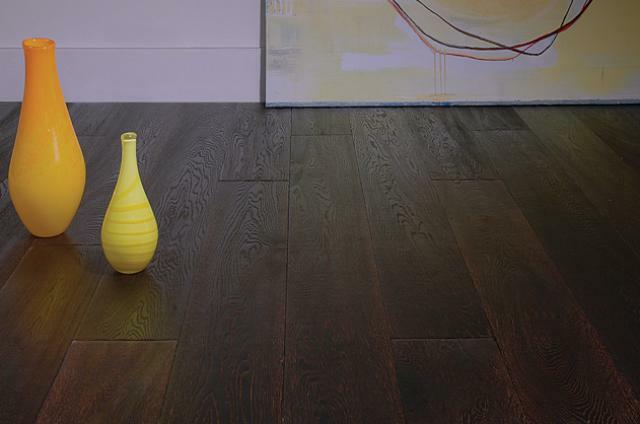 All DuChateau Floors are finished with DuChateau Hard-Wax Oil. DuChateau Hard-Wax Oil finish is an ALL NATURAL non-pollutant, non-toxic, ZERO VOC product with no biocides, no preservatives, and is benzene free. It is produced from natural materials such as vegetable oil and natural waxes made from purified renewable natural raw resources. 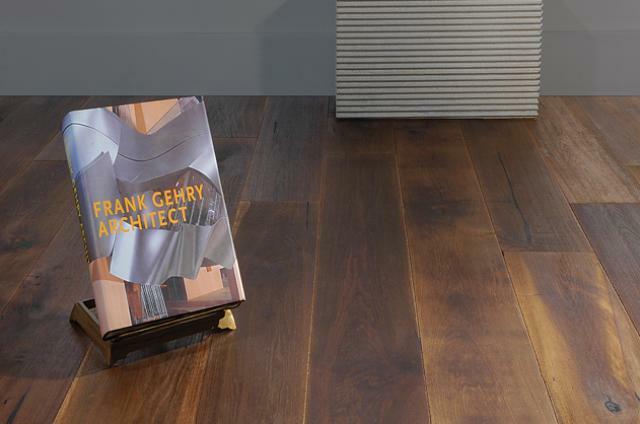 Its open grain structure allows the floor to breathe which has a regulatory effect on moisture ensuring a healthy room climate. The special features of this finish allow the oils to penetrate deeply into the wood pores to enhance, while the wax remains on the surface to maintain a beautiful natural matte finish and create a protective layer offering a resistant and lasting finish. 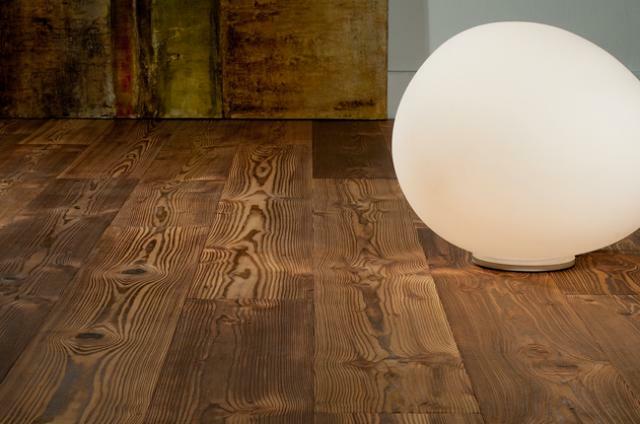 By finishing the wood with Hard-Wax Oil the ultimate color of the floor will flourish. 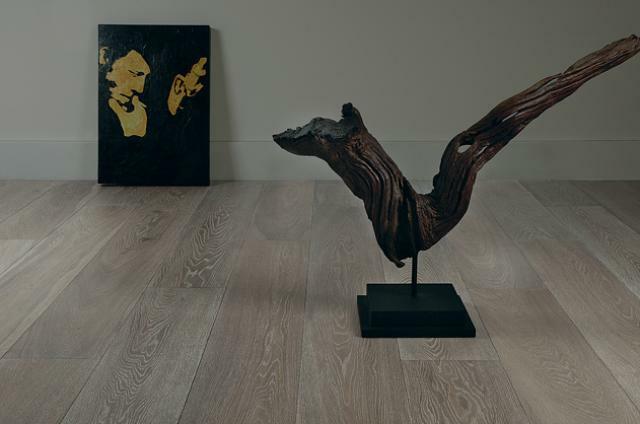 When smoking a floor, the tannins in the oak wood reacts to the burn, thereby giving the floor a darker and grey appearance, the extent of this depends on the duration of the treatment. Since not every part of the floor will contain the same amount of tannins, one section could appear darker than the other. The result is a rustic and authentic look. 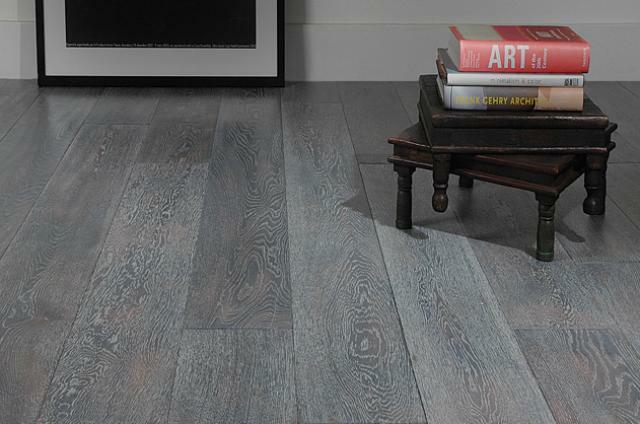 Certain styles of DuChateau Floors are brushed to give them an extra accent. Brushing removes the soft wood from the floor and brings out its texture, making it more durable, and impact resistant. 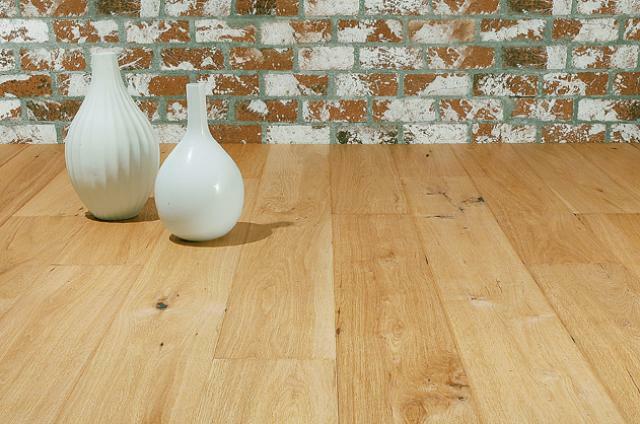 Minor scratches and damages become less apparent and give the wood flooring a slightly rustic look. 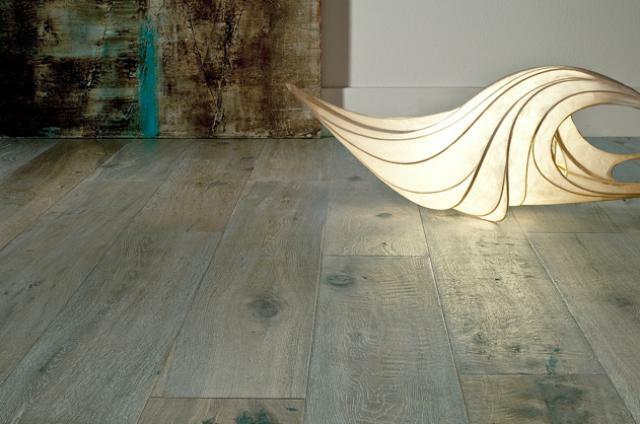 Combined with Hard-Wax Oil, brushing can give the floor a unique and characteristic appearance. Brushed floors can be maintained using the same methods as a floor that has not been brushed. 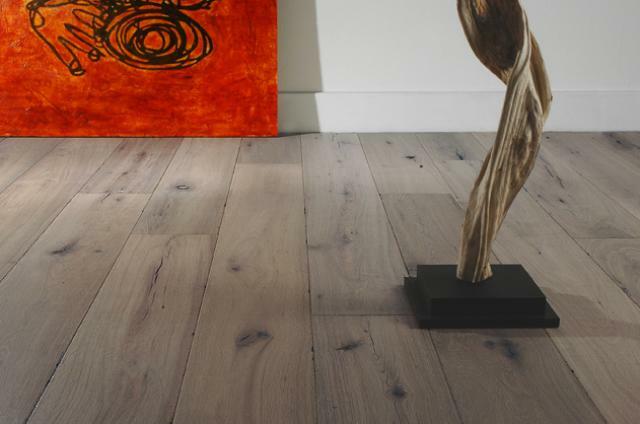 DuChateau Floors produces top quality, wide planked hardwood floors that are distressed, hard-wax oiled, smoked, and brushed to achieve a true vintage look.